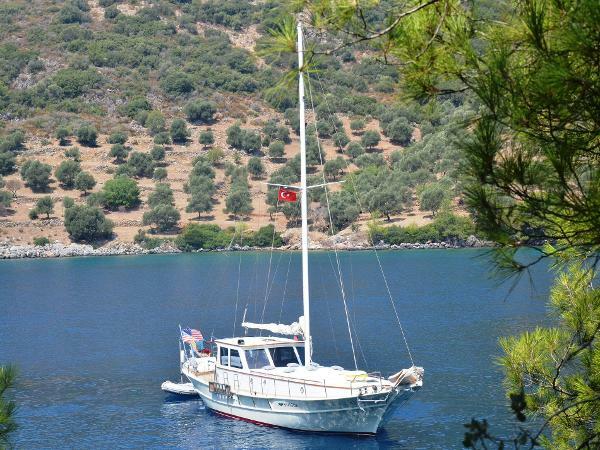 A great classic wooden sailing yacht which was completely refitted by Aegean Yacht in 2016. She has 1 master bedroom, 1 twin cabin both with en-suite bathrooms. Almost everything is renewed including the hull, interiors, all systems and equipment in 2016. The hull is triple planked and epoxy fiber coated. She has a fully equipped galley with SIEMENS appliances all renewed in 2016 Birchwood is combined with alcantara ceilings in the cabins and galley. 2 TECMA electric toilets in the guest bathrooms. She has a great aft and foredeck space comparable in size to most 20 m sailing yachts. Aegean Yacht style day bed is built at the aft. There is also a comfortable corner sofa and a massive mahogany table offers al fresco dining up to 8 people at the half open salon. Stainless steel portholes, steel mast and stainless steel standing rigging, one main sail and one genoa, HARKEN sail winches are also fitted out in 2016. 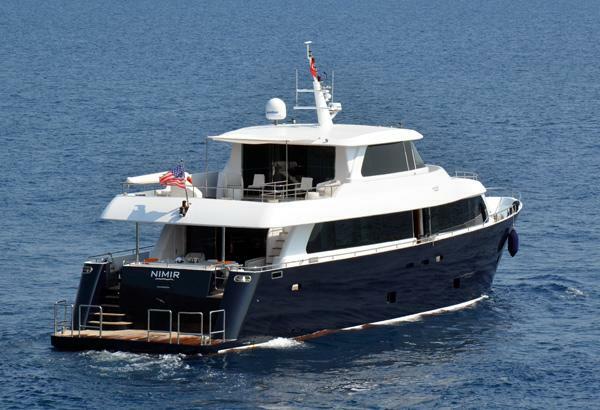 She has two Ford 135 HP main engines and a 11 KvA generator are completely overhauled in 2016. All mechanical and electrical systems and their elements such as batteries, chargers, A/C, plumbing, tanks are all renewed. 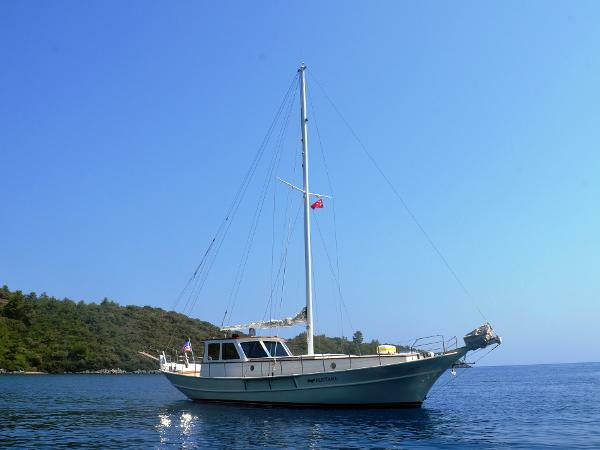 Anatolia is an ideal family boat designed and equipped to sail short handed in maximum comfort and safety. 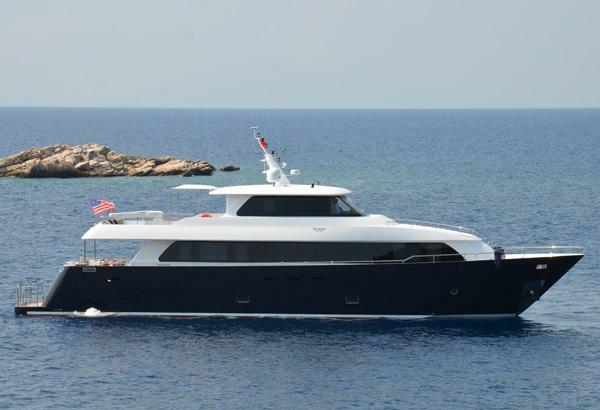 She has a steel hull.Offers exceptional exterior deck space as well as tremendous interior volume compared to similar size motor yachts. She accommodates totally 12 guests & 4 crew at her comfortable owner's suite on the main deck,one VIP on the bridge deck, two VIP's and two twin cabins below deck plus 2 crew cabins all with en-suite bathrooms. The upper deck houses an internal helm station with the most advanced navcom systems by Simrad and a cozy lounge corner.Also offers a great relaxation area for guests and storage area for tenders and toys. She is an energy efficient boat packed with twin YANMAR 700 HP engines consuming much less fuel than most engines with the same power. She is certified by R.I.N.A. 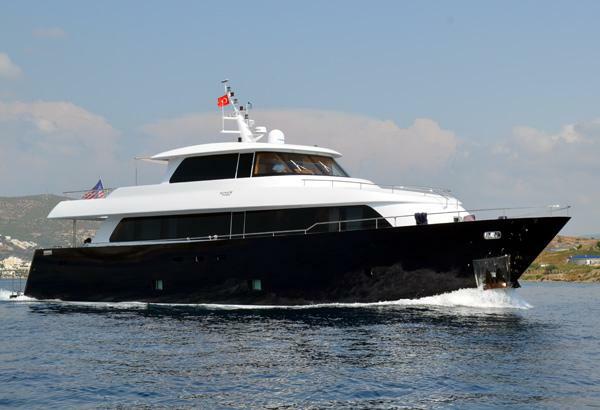 and offered in as-new condition,providing the perfect turn-key package for a prospective new owner desiring a brand-new yacht without the wait of building.She is available for inspections in Bodrum Turkey.